Civilization VI will feature improvements from its predecessor, Civilization V (pictured above). On October 12th, game developer Firaxis revealed a new first-look video, dedicated to their upcoming blockbuster turn-based strategy game, Civilization VI. The video showcases a game feature which had not yet been discussed, although the reveal was predictable for any veteran of the Civilization franchise. Specifically, when choosing one of the 20 playable civilizations of the game, you will also get to choose from one of two civilization leaders. The focus of the first-look video was the second Greek leader, Gorgo. The Spartan queen will represent an alternative from Pericles, the other Greek civilization leader, which was presented another first-look video. The real life Queen Gorgo ruled in the 5th century B.C., as the wife of King Leonidas I, hero of the now-famous battle of Thermopylae. She was one of the few female political figures to gain prominence at that time, and be mentioned in ancient historical chronicles. In Civilization VI, Greece is a faction more focused on Culture. However, playing as Gorgo allows for a more aggressive take on the civilization’s main strength. Her unique leader ability, called Thermopylae, will provide the Greek civilization Culture points for every military conflict and even more points for victory. Created by legendary game designer, Sid Meier, the game series first launched in 1991. Though Meier’s creative involvement had since varied from game to game, his name is always mentioned in the full title of each entry in the series. The focus of the game is ruling a historically real civilization from its ancient beginnings, through the Middle Ages, industrialization period, up to a time similar to our modernity, adding just a small amount of “not too distant future” sci-fi towards the end. 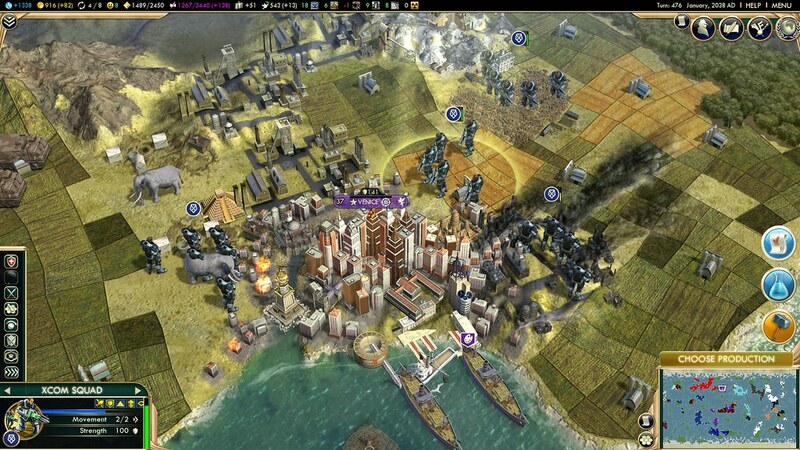 The peak of the game’s early core elements was reached when Sid Meier’s Civilization IV was launched in 2005, and subsequently reviewed as a monument of strategy games. In 2010, Sid Meier’s Civilization V was a very courageous move. While the game remained true to its basic gameplay, a lot of elements were changed, the most notable being the removal of military units stacking. Initial reviews for the Civ V were lukewarm, but in time, and after two rich expansion packs, it is now viewed by some as the true best of the series. Civilization VI plans to improve on the path started by Civ V, its most distinguishable feature being the city districts, which will significantly alter the way city building is handled and will force players to change their strategies accordingly. We’re almost one week from Civilization VI’s official release, scheduled for October 21st.